Edraw Mind Map helpt je bij het maken van mind maps als presentaties zo mooi voor Mac, Windows en Linux.Je kunt verschillende vormen toevoegen en de lay-out van de hele diagram wordt automatisch aangemaakt. Je zult veel plezier hebben van de krachtige tekenmogelijkheden met duizenden meegeleverde clip arts om je mind maps te verfraaien. Edraw MindMasterPro is a powerful mind map development program that offers a full set of tools for the fast creation of modern and polished mind maps. It has been embraced as a solid mind map Visio alternative on Windows and Mac. Its simple and user-friendly interface helps you speed up your work and produce excellent result in minutes. 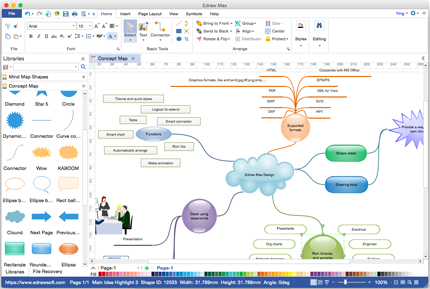 This desktop mind map software includes comprehensive supports for project management, brainstorming, note-taking and knowledge management. 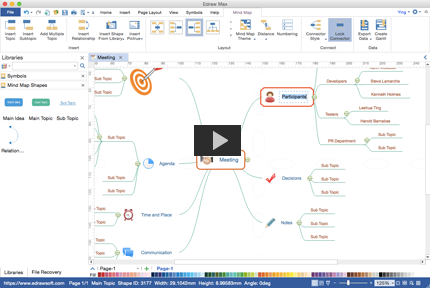 It offers 9 sets of preset styles and thousands of clip arts to help you design presentation-quality mind maps. In addition, it integrets well with Microsoft programs and supports hyperlinks, attachments and notes. These user-friendly details will give you a pleasant user experience. 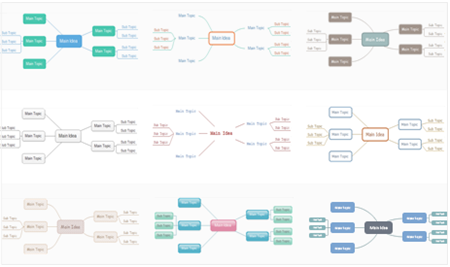 Within the software, you can get dozens of mind map examples. 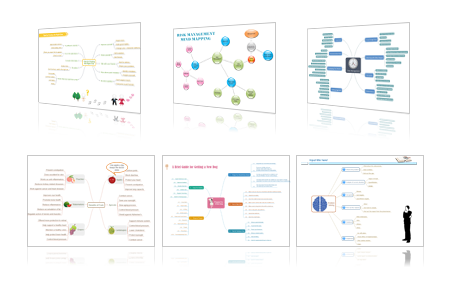 The examples use different mind map themes and cover a wide range of topics. They are easy to customize so you can actually pick one as a template when you need to create similar mind maps. In this way you can save lots of precious time. Edraw makes it a piece of cake to build professional mind maps with its featured tools in the mind map Ribbon. You can easily change mind map theme, layout type and connection style, or add clip arts and local images to make personalized mind maps. The drawing process is automated by action buttons and ready-made symbols, amazingly fast and convenient. Click the video to learn how it works.